It takes time for a student pilot to get used to the idea of becoming pilot in command of an aircraft someday. The truth is that acting in the role of “PIC” is what you have been rehearsing since your first flight lesson. Preparing to be PIC is a gradual process that shapes training in many subtle ways—until it becomes a practical fact of life upon your instructor’s endorsement of your first solo. Before that, you learn in ground school about an operating regulation that holds the pilot directly responsible for, and makes that pilot the final authority as to, the operation of the aircraft. The regulation gives a pilot emergency authority to deviate from rules “to the extent required to meet that emergency.” It also imposes a burden of accountability for any such actions. A pilot in distress who notifies air traffic control of a problem usually will be asked to say intentions. 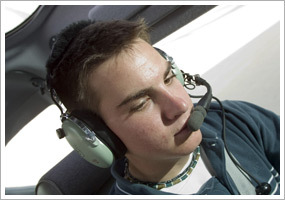 ATC understands that the pilot is the best source of information and decision making about how to proceed. ATC will do what it can to assist. Rules and judgment are part of the body of knowledge expected of a PIC. So is making the effort to stay informed and learn lessons offered by the experiences of others. After an August 2010 accident that claimed the life of former Sen. Ted Stevens of Alaska, the National Transportation Safety Board focused attention on how pilots brief passengers about the use of on-board survival gear. Are you ready to be PIC? Both the tangible and the intangible factors will be on your instructor’s mind when making the call. So don’t wait to think about yourself as PIC until your checkride date is all but set. Becoming PIC material is what you have been studying for since the beginning. If you are a frequent customer of Sporty’s Pilot Shop, the Free and Fast Shipping Club is aimed at saving you money on shipping fees. Pay $49 to enroll, and you receive free two-day express shipping on every product you order. There is no minimum, and club members also receive exclusive email offers. Free shipping does not apply to chart subscriptions. For more information, see the website. Question: I had trouble passing the color vision test on my last visit to my aviation medical examiner, and he placed a color vision restriction on my medical. Is there a way I can get it removed so I can fly at night? Answer: Yes, there are procedures available to demonstrate to the FAA that a color vision deficiency does not adversely affect your safety or the safety of others in the National Airspace System. The preferred method is to attempt any of the 15 different color vision tests that the FAA accepts. This procedure allows you to meet the color vision standard of FAR Part 67. The other alternative is to take an operational color vision test.  This test includes a signal light test administered at an airport air traffic control tower; and a practical test in which you must read and correctly identify colors on aeronautical charts. When you pass the test, you will receive a letter of evidence. For more information, read the subject report on AOPA Online.